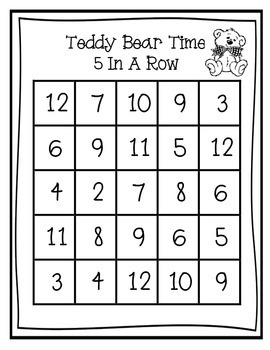 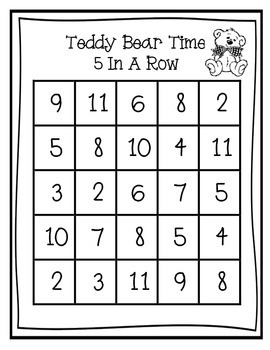 Play the game of five in a row with a teddy bear theme. 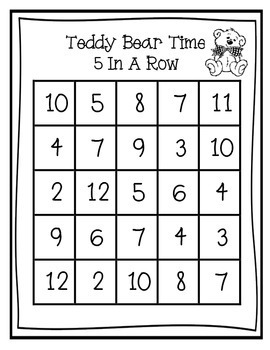 Use teddy bear counters to mark the sum of two dice. 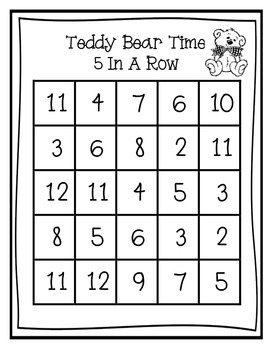 When you get five in a row, you win!